Every year, hundreds of people announce they're giving up their ordinary lives in ordinary houses to hit the road in a decked-out RV. Their decision allows them to live wherever they want and enjoy a free and exciting lifestyle, or so they tell friends as they set up an envy-inducing social media account. And while the pictures are stunning and their lives seem perfect, underneath the Instagram filters and careful staging can lie piping problems, space issues and a bedroom full of sewage. At least, this was the case for Jennie and Bill Mangan. 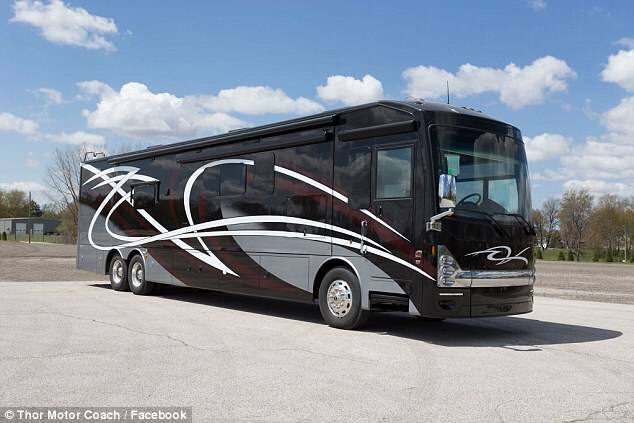 The couple told the Star Telegram they had intended to spend the beginning of their retirement on the road, exploring the country in their new luxury RV, a Thor Tuscany 44MT which had cost them $270,000. But within just months, the New Haven adventurers had given up on their dreams, and decided to buy another house instead. Every day, the Mangan's say sewerage pooled in their bedroom and shot out of the shower drain. The explosions would be triggered every time someone flushed the toilet. Fumes filled their bedroom one night as a break in the piping saw hydraulic fluid leak into a basement drawer. And while the RV appeared to be a 'shiny penny' to Ms Mangan, she perhaps should have seen her issues coming. On the couple's first night as nomads, they say the water line broke, forcing them to park at a Walmart so they had access to a bathroom. 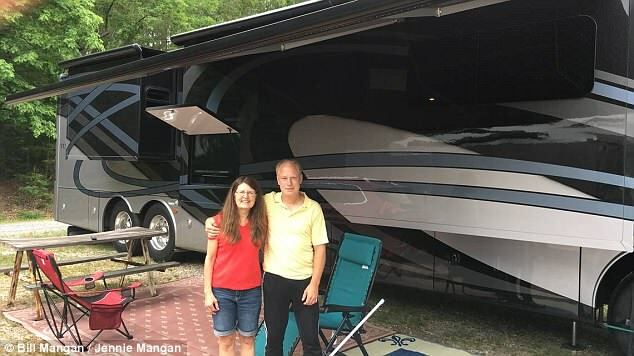 Ms Mangan says she has abandoned her dream of living on the road, and began asking for a refund on the vehicle just one month after she and her husband bought it. 'We bought the RV for fun, and all it's been is work, headaches, expense and horrible experiences,' Jennie said. 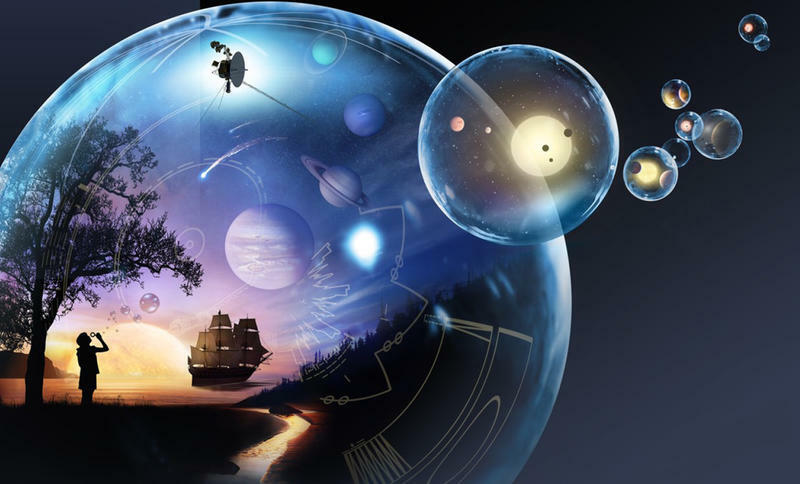 Unfortunately for the Mangans, their experience is more rare than one would expect. Most people who choose to put their lives on four wheels say they'll never turn back, and their problems are more minor - and a lot less smelly - than those faced by the Mangan family. Cees Cornelis and Madison Elizabeth - and their cat Vladimir - set off in 2016 to try and see every national park in the US. 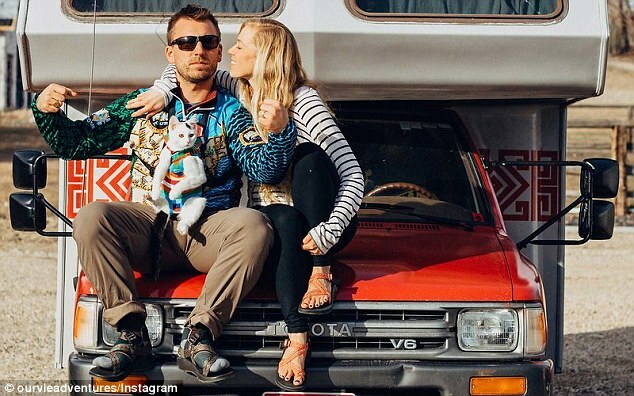 The couple gained a massive social media following for their incredible pictures of life on the road - most featuring their adventurous kitty - and when they'd seen the 59th and final park, they realised they didn't want to go home. Cees and Madison gave birth to their son, Theodore, along the way. The biggest problem the couple seemed to experience publicly was a struggle to keep Vladimir away from Theodore's pacifiers. 'We think his last habit [of chasing pacifiers] is a protest move toward his new "cuteness competition",' the couple wrote on their website. 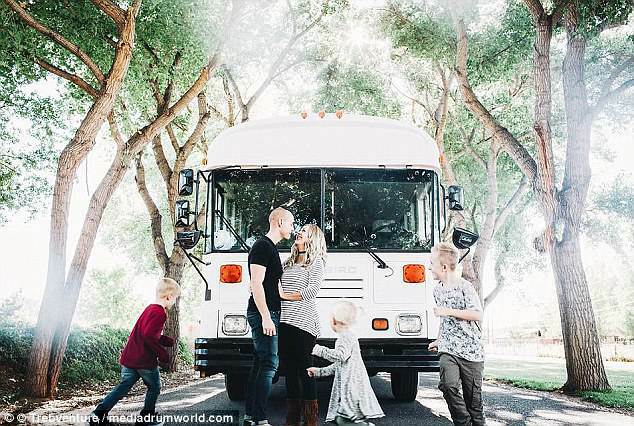 Ashley home schools her children now, and the family have seen so much of the US through their home on four wheels. For the mother-of-two, one of the more difficult adjustments has simply been changing her shower routine. 'I save my “shave” days for the gym showers because we have about 7 minutes of hot water,' she wrote on the couple's Instagram.